Habitat seeks to promote dignity and hope to families served to meet needs in a sustainable and transformational way. Every family who partners with Habitat must complete up to 400 hours of sweat equity, working on the construction site and at the Habitat ReStore, and successfully pass HomeWorks home buyer education and financial literacy classes before building their home. Future homeowners repay an interest-free mortgage back to Habitat. Thanks in part to partner-family sweat equity and volunteer labor, the cost of a standard three-bedroom home is kept affordable, with affordable mortgage payments including taxes and insurance. 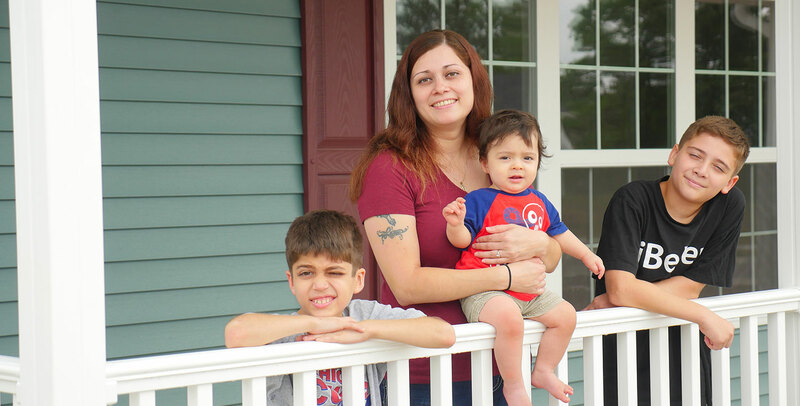 Habitat for Humanity helps provide the opportunity of affordable homeownership for hardworking families seeking lasting stability and transformational change for their future. Interested in our homeownership program? All future Habitat homeowners must successfully complete more than 42 hours of sustainable homeownership and financial literacy classes. Classes are taught by community volunteers and Habitat team members who are experts on their subjects, and include such topics as budgeting, insurance, organization, safety, home maintenance and landscaping. All families also complete Dave Ramsey’s Financial Peace University. Habitat Hope is a blueprint for anyone interested in homeownership. A wise builder uses a plan to construct a well-built, stable home. Habitat Hope empowers future homeowners to do the same, by providing a blueprint for homeownership through education and resources to set potential future homeowners up for long-term success.